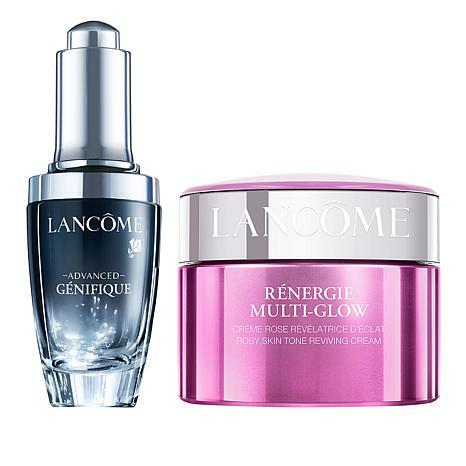 A cream and serum duo formulated to moisturize and reveal visibly younger looking skin. 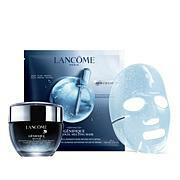 - Gently apply onto cleansed face and neck, morning and night. - The self-loading dropper gives you the perfect amount every time. - Follow with a moisturizer. - Tips: Keep a bottle in the fridge for an instant refreshing feeling. Mix a drop into your foundation to give a great looking glow to the skin. - Put a small drop on to dry lips before you apply lip liner and lipstick to smooth the lines on the lips. *Based on a clinical study on 34 women who used the product twice a day for 8 weeks. **Based on a consumer perception survey of 34 women who used the product twice a day for 7 days. 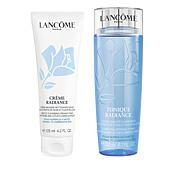 Ingredients: Lancome Genifique Ingredients: Aqua/ Water/Eau, Bifida Ferment Lysate, Glycerin, Alcohol Denat., Dimethicone, Hydroxyethylpiperazine Ethane Sulfonic Acid, Sodium Hyaluronate, Phenoxyethanol, PEG-20 Methyl Glucose Sesquistearate, PEG-60 Hydrogenated Castor Oil, Salicyloyl Phytosphingosine, Ammonium Polyacryldimethyltauramide/Ammonium Polyacryloyldimethyl Taurate, Limonene, Xanthan Gum, Caprylyl Glycol, Disodium EDTA, Octyldodecanol, Citric Acid, Citronellol, Parfum/Fragrance. I saw the difference in my skin within the 3rd day of using these two mega products. Will definitely buy again!! This is an excellent product. It is an exceptional moisturizer. This combo does give my face an extra glow and I love it. Feels good on. 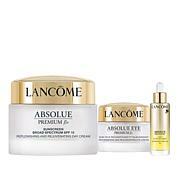 Very happy with purchase and I love it when Isabella appears on HSN (and the rest of the Lancome team) and talks about the product and Tresor. Love the way these make my mature skin feel and look! Would definitely purchase again. The Genifique bottle design is so ingenious you can not mess this up!